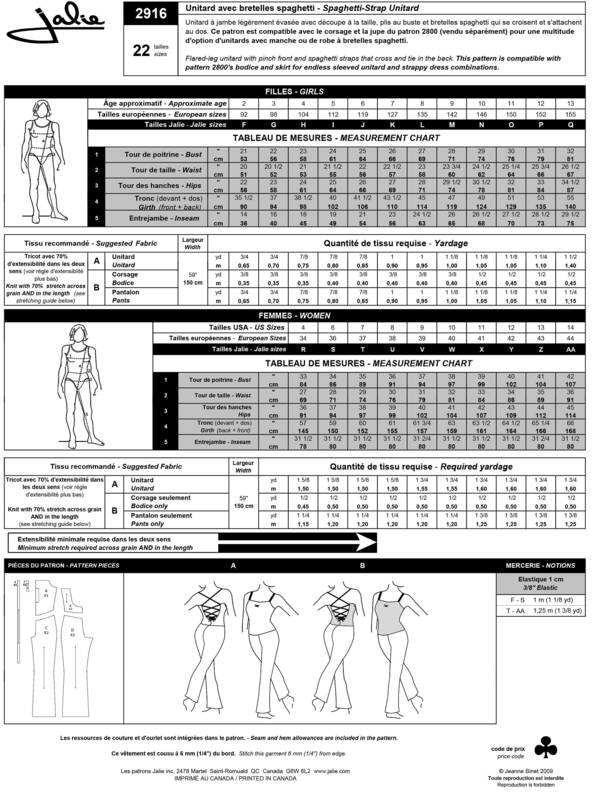 Package includes patterns and instructions to make Strappy Unitard. Flared-leg unitard with pinch front and spaghetti straps that corss and tie in the back. This pattern is compatible with Jalie Pattern #2800 (Zip-Front Skating Dress) for endless sleeved unitard and strappy dress combinations. Great for Figure Skating and Competition Dance!